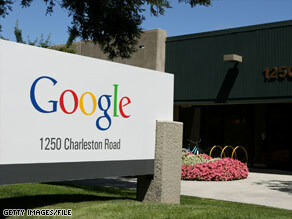 Google plans to unveil a service called Google Voice on Thursday that indicates Google wants to do with your telephone communications what companies such as Yahoo have done with e-mail. Google Voice, the new version of the GrandCentral technology Google acquired in July 2007, has the potential to make the search giant a middleman in an important part of people’s lives, telephone communications. With the service, people can pick a new phone number from Google Voice; when others call it, Google can ring all the actual phones a person uses and handle voice mail. The old version could let people centralize telephone services, screen their calls, and listen to voice mail over the Web. But the new version offers several significant new features, though. Google now uses its speech-to-text technology to transcribe voice mail, making it possible to search for particular words. Gmail’s contacts now is used to instruct Google Voice how to treat various callers. And Google Voice now can send and receive SMS text messages and set up conference calls. Existing GrandCentral users should get the option to upgrade Thursday, and Google plans to offer it to the public after “a number of weeks,” said Craig Walker, product manager of real-time communications and head of Google Voice. As interesting as the service itself, perhaps, is that Google plans to offer it at no cost. Google is in the midst of a profitability push, trying to wring more money from existing sites, adding advertisements to properties such as Google Maps, Finance, and News that previously lacked them, and canceling many projects such as Google Lively that didn’t pass financial muster. With Google Voice, though, the company is showing more of its earlier, more patient approach.